Fujifilm Instax cameras have been getting a little more digital as of late, and now the company’s latest instant film camera can also shoot video. Meet the Fujifilm Instax Square SQ20, the company’s latest instant film camera that also shoots digital images and video. Don’t think you’ll shoot full-feature movies with the SQ20, though, as it only records 15 seconds of 800 x 800, soundless H.264 video at 15 frames per second. That might sound fine for a Facebook or Instagram Story, but the video feature is mostly designed to be used in conjunction with a new “motion mode,” which allows you scrub through your footage for the perfect frame to turn into a photo. Users can also apply other affects such as a faux 35mm film strip border or a long exposure effect that blurs motion captured in the video. Of course, the Instax Square SQ20 is also a still camera through and through. 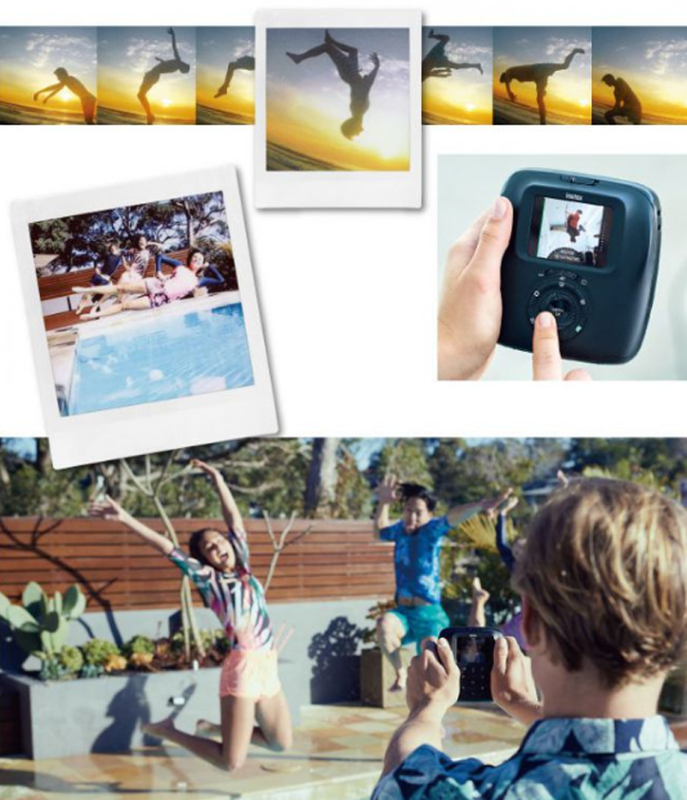 It features a CMOS sensor – measuring a fifth of an inch – to create instant film photos and 1,920 x 1,920 digital photos. The image sensor is actually a little smaller than the quarter-inch imaging chip found in its predecessor, but this camera gains a 4x digital zoom. The camera otherwise features a 2.7-inch, 230K-dot LCD screen, a micro SDHC card slot, internal storage for 50 photos and 30s of video, a 33.4mm (35mm equiv. ), f/2.4 lens, built-in flash and a built-in battery good for 100 prints per charge. The Fujifilm Instax Square SQ20 will launch on October 20 with a starting price of $199 (about £150, AU$275) That’s, thankfully, much lower than the initial $279 (about £210, AU$385) price of the SQ10.